Round 14 brought DC Hack and Tell to whole new levels of awesomeness. We saw, heard, and partied in celebration of the inimitable Shannon joining DC H&T as an official organizer. We welcomed a code of conduct of superb pedigree (may we always be excellent to one another). And there were super cool projects! Aaron built a static blog pulling in previous blog XML data and allowing for parallel big slides with some konami code magic. Joe built a way for a remote staff member to turn lights on / off in HQ to get attention of staff. And there are slides! And a repo! Speaker 2 - Leah B.
Leah built a tool to help provide transparency in government services, akin to gov.uk/transformation. (Apparently they are awesome & we should all be like these individuals). The equivalent FOR THE UNITED STATES is online and open source. Go 18F! Shannon made a site to showcase universities that are hiding the degree of sexual assault that is occurring on their campuses. Given the likelihood of sexual cases actually being 0 is remote, they are more than likely simply not reporting actual numbers. Data is from the Washington Post; over 500 schools reported 0 occurrences over a three year period. And now you can see it on a map, and also see the source. 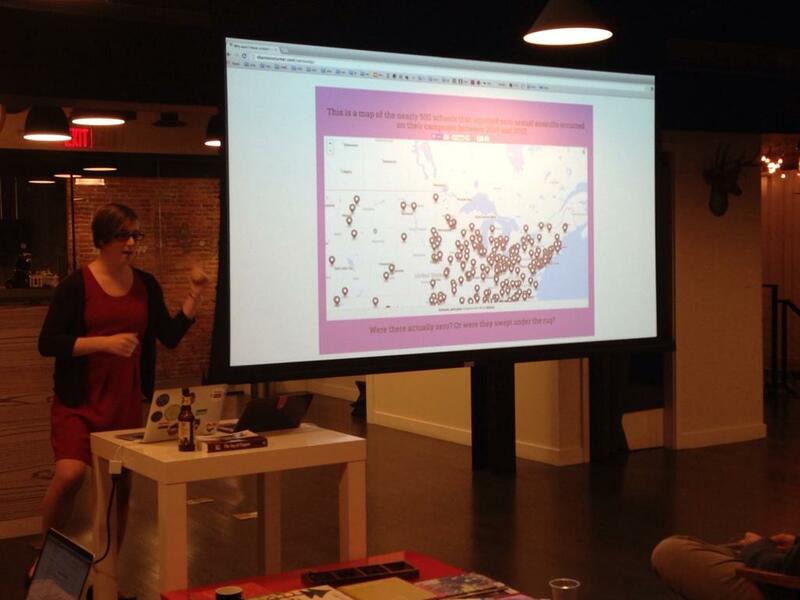 Morgana built an app to solve: “If there is a Nats game, how soon do I have to leave my house? And if there is not a Nats game, what are my alternatives?” (In IPython Notebook.) Python source on github. More APIs than you can shake a bat at. UFOs: Implausible Deniability? 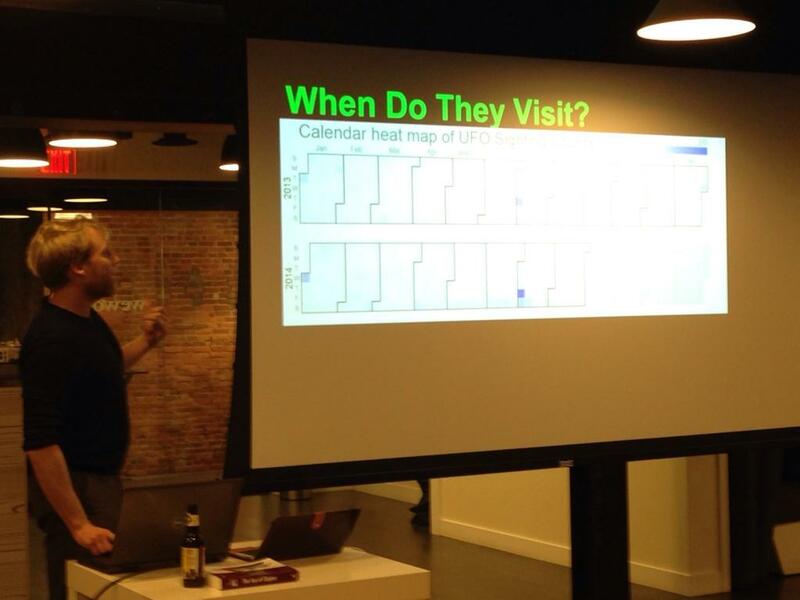 Brian used BeautifulSoup for scraping UFO data, and applied a slew of visualizations and algorithms to it. For the hilarious results… you really had to be there. Speaker 7 - Leah L.
That was Round 14! Thanks to everyone who presented, everyone who attended, and our favorite WeWork in the whole world!